Today I received some news about the migrant children. Some children had to drop out of the school, not because their family economic condition had improved, but because their houses had been demolished, and the rent of the newly built house was too expensive, and they could not afford it. As a result, they have to move to a more remote place to live, so the child must change their schools. Another reason is that the parents cannot take care of children anymore and the only way is to send their children to their home town, these children will become left-behind children. This is the current status of the migrant children. Although we cannot make any changes, but this reminds us that we cannot delay our care and love towards them. We have to treasure the time with them. The first meeting can also be our last meeting. We hope that Little Ones can become their support. When they get lost, we can become the lamp for their feet and the light on their path. When Xiao Peng entered into class lesson, I could felt the difference. Xiao Peng's head had not lift up during our conversation. He kept on drilling down. In order to looked into his eyes, I had to drill down with him. However, when I asked about his parents, he could not help anymore and shed his tears. His mother left them last year in a traffic accident. He still missed her mother very much. I wanted to help Xiao Peng to deal with his unfinished business with her mother. Therefore, I told him to take a break, and said: "If I were your mother, what would you tell me?". Xiao Peng looked at me and said: "I want to tell my mother that I love her very much! ". I then acted as her mother at that moment and told him: "Mom knows that you love you. Don't worry! ". And then pat his shoulder lightly. Although the conversation was very short, but did bring some comfort to the child. 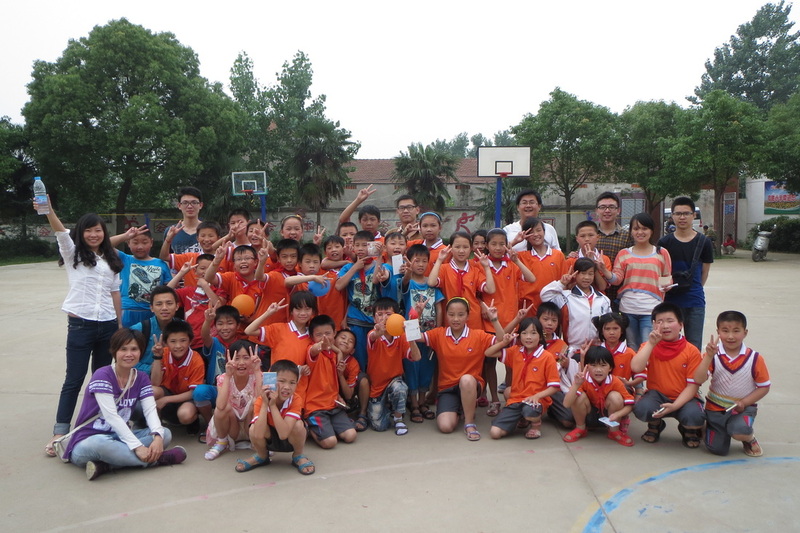 It also made ​​me realized that the emotional needs of these children. Xiao Huang's mother ran away! The cost of Huang's living was paid by the school. The school teachers donated clothes to him. 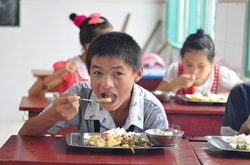 Xiao Huang was one of those left hehind children staying at a boarding school specially catered for them. No matter weekend or summer and winter vacations, his name will not be on the "go home" list. Every time he can only watch other students leaving for holidays. In fact, Xiao Huang does have dreams. When I asked him what kind of job he wants to do in the future. He said he wanted to become a chef because a chef can make a delicious meal for his family. Lack of family warmth creates a lot of changes to these children. Some of them experience depression and loneness. Apart from these, we hear their cries from their eyes: "Do not abandon me!" P.S. 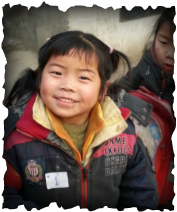 : There are about 5800 million left-behind children in rural areas in China. For age under 14 years old, there are about 40 million people. Released on May 25, 2010, rural children left behind family education activities Investigation and Analysis Report 〉shows that 32.9% of these parents contact their children every day, 39.8% of these parents contact the children once a week, 21.1% of these parents contact their children once a month, 4.9% of these parents contact these children once a year, 1.3% of these parents does not contact their children at all. 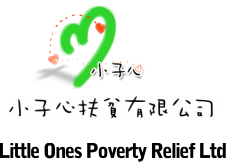 貧窮 - 可以改變嗎？Poverty – can it be changed? Guess what this girl is worrying about? Is she worrying about how much her monthly pay can be of help to the family? The mother cried upon our visit, as she unfolded her story. Her husband was a construction worker, who was also the sole breadwinner of the family of five. The girl shown on the picture above was their eldest daughter, who was 16 years old. The middle daughter was still attending elementary school. The couple, hoping to have a son, gave birth to the third child. Unfortunately, the boy was diagnosed with a heart disease. The eldest daughter has always enjoyed studying, and she used to be the top of the class. Yet the family could not afford the tuition fees, and she had to withdraw from school. She has stayed at home for two years, and finally got a sewing job this year, with a monthly pay of RMB1,000. Of course you would ask, “Doesn’t the Government provide a 9-year compulsory education?” So is the policy stated, but it does not cover the unregistered children. These children come to the city from villages with their parents to look for a job (i.e. migrant children). Since they still bear a rural account, they are not entitled to the welfares for city dwellers, which include education and health care services. Therefore, migrant children have to pay hundred dollars each month for their tuition fees, which does not include meal fees. As a result, many of them have not joined the meal plan at school; they would rather starve themselves or walk back home for lunch. Some parents would send their children back to the rural villages, and these children become the left-behind children, where they are being taken care of by their relatives. 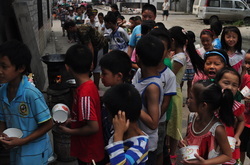 Long separated from their parents, these children might eat a meal, and skip the next one. Some would even leave home after completion of middle school, and go back to the city for work. It becomes a vicious cycle: poverty haunts them – generation after generation!